In the main, the attention of workflow researchers and workflow developers has focussed on the process perspective, i.e., control-flow. As a result, issues associated with the resource perspective, i.e., the people and machines actually doing the work, have been largely neglected. Although the process perspective is of most significance, appropriate consideration of the resource perspective is essential for successful implementation of workflow technology. Previous work has identified recurring, generic constructs in the control-flow and data perspectives, and presented them in the form of control-flow and data patterns. The next logical step is to describe workflow resource patterns that capture the various ways in which resources are represented and utilised in workflows. These patterns include a number of distinct groupings such as push patterns (“the system pushes work to a worker”) and pull patterns (“the worker pulls work from the system”) to describe the many ways in which work can be distributed. 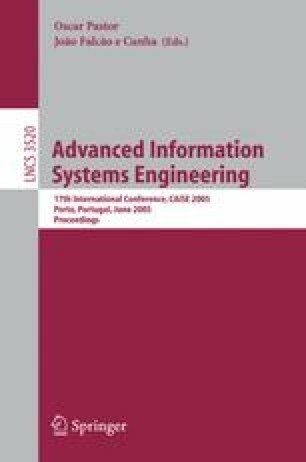 By delineating these patterns in a form that is independent of specific workflow technologies and modelling languages, we are able to provide a comprehensive treatment of the resource perspective and we subsequently use these patterns as the basis for a detailed comparison of a number of commercially available workflow management systems. This work was partially supported by the Dutch research school BETA as part of the PATINT program and the Australian Research Council under the Discovery Grant Expressiveness Comparison and Interchange Facilitation between Business Process Execution Languages. This revised version was published online in June 2005 because the figures of the original online version were illegible.